EXECUTIVE SUMMARY: Australia and Israel should develop a more significant strategic partnership. They are each small countries that play important roles in their respective regions. They have democratic values in common as well as a pro-American orientation in their foreign policy. But while they support one other, neither completely grasps the extent of their shared strategic concerns. Both states are affected by four serious global trends: the retreat of American power, the rise of China, the spread of radical Islam, and the threat of nuclear proliferation. An enhanced bilateral relationship is warranted. In the Middle East, the Obama administration has projected weakness and encouraged Iran’s quest for hegemony. The vacuum created by the lower American profile has been partially filled by the Russians, a trend with worrying implications. Asian as well as Middle Eastern states view the declining American role with concern. Despite the Obama administration’s rhetoric about pivoting to Asia, it did little to reassure its allies. Indeed, many of them now fear the rise of China, which is aggressively pursuing ambitious goals. The Philippines, under the colorful President Rodrigo Duterte, appears to wish to substitute its American orientation with a Chinese one. Finally, the specter of nearby nuclear proliferation is much feared by both Australia and Israel. 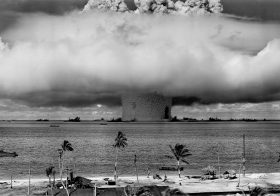 Until recently, the Americans’ traditional position as security provider was a disincentive for nuclear proliferation. The 2015 nuclear deal with Iran changed that by legitimizing Tehran’s nuclear infrastructure. Egypt, Turkey, and Saudi Arabia are unlikely to stand idly by as Iran, their regional competitor, makes nuclear progress. Unfortunately, the increased mistrust of Washington’s leadership has made American security guarantees less credible. Australia’s and Israel’s common apprehensions about these global trends provide the strategic glue with which to build closer relations in defense and foreign affairs. With that in mind, Anthony Bergin of the Australian Strategic Policy Institute (ASPI) and I co-authored a report, The Wattle and the Olive: A New Chapter in Australia and Israel Working Together, which suggests that the two countries move towards greater cooperation. Up to now, there have been almost no high-level military exchanges between the two countries. Israel doesn’t have a uniformed military attaché in Canberra (although it has posted a civilian from the Ministry of Defense). The Australian military attaché to Israel is based in Ankara, Turkey. The two militaries can share doctrinal insights and intelligence. 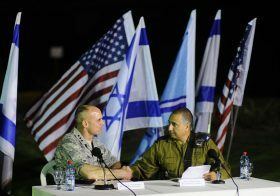 Israel, whose military doctrine is based on self-reliance, can learn from Australia’s experience in military coalitions. Israel, in turn, has experience in urban warfare and in the development of unmanned aerial systems for intelligence, surveillance, reconnaissance, and combat, an area in which the Australian air force is developing its capability. Unfortunately, there is a tendency in Australia (and elsewhere) to see Israel purely through the lens of the Palestinian issue and the peace process. This is not the right prism. 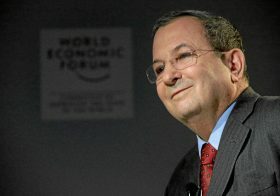 It is unlikely that an enhanced relationship with Israel would damage Australia’s standing in the Arab or Muslim world. 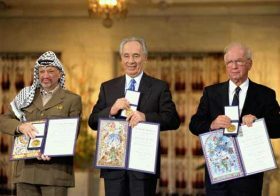 Israel has peace treaties with Egypt, the most important Arab state, and with Jordan. Other Arab countries are quietly getting closer to Israel because of the rise of Iran in the region and the shared fear of radical Islam. 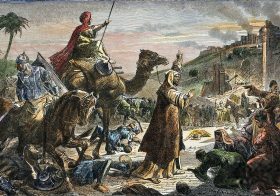 Jerusalem has very good relations with the Muslim states in Central Asia and the Caucasus. 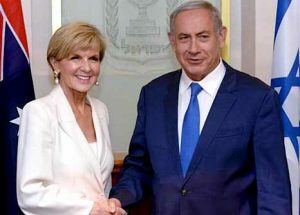 There is no evidence that Australia’s relationship with Israel has in any way hindered its own defense relations with Arab countries, its defense engagement in Southeast Asia or the Pacific, its international efforts to counter terrorism and proliferation, or the ability of the Australian Defense Force to operate in Afghanistan and Iraq. Our recently issued report could serve the two countries well right now. Israel’s prime minister has announced plans to visit Australia in February 2017, at which time he will seek greater cooperation. The respect ASPI and the BESA Center command in their respective countries ensures that the highest government echelons will be aware of the report. There is really no country in the Middle East whose interests are more closely aligned with Australia’s than Israel. Neither state has sufficiently recognized the extent to which they contribute to one another’s national interests. Australia and Israel can cooperate in strategic affairs to the benefit of both countries. The bilateral relationship could be significantly expanded. Good guys should stick together. 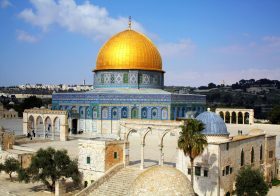 This is an edited version of an article that appeared in The Jerusalem Report on November 20, 2016.